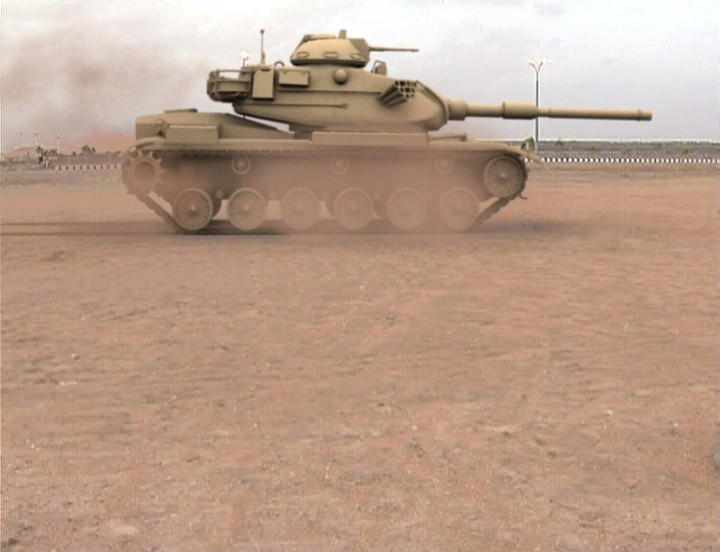 Shot taken from Camera matched animation showing the fire shot from a tank. Produced using Autodesk® 3D Studio Max™ and rendered using Max defaults lights with scanline renderer. Post work has been done using Autodesk® Combustion™ which has been used to add dust, smoke and particle effects.